It’s very important to follow the conference hashtag and post using it before/during/after the conference as well. It’s a great way to meet people who are attending, find out good insight on sessions missed, and keep updated on conference details. Just remember hashtags are used on several different platforms. Tagboard is an example of a software that searches Twitter, Instagram, Facebook, Google+, App.net, and Vine for instances of the hashtag being displayed. End-users can self-discover, interact with, and join the discussion all within a single, easy-to-use feed. 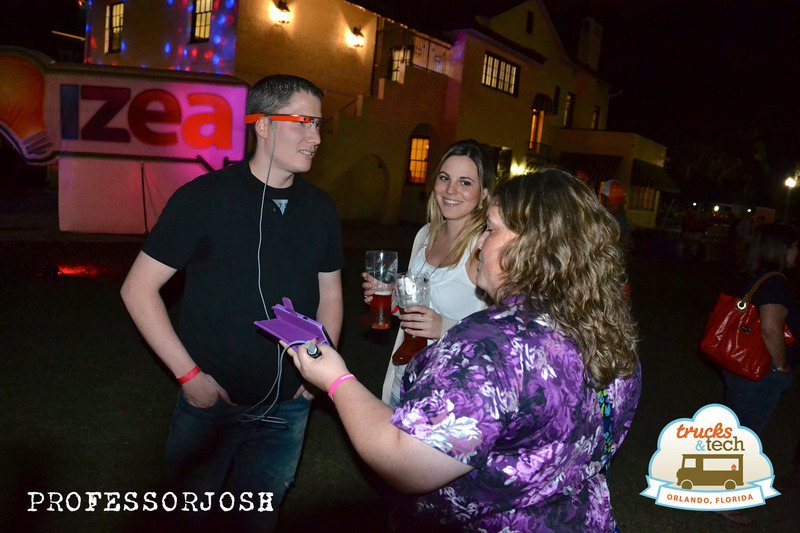 Here is an example one from #FLBlogCon13 – http://tagboard.com/flblogcon13. Start to seek out people who are joining the conversation early on various social media platforms through the hashtags and reach out to them. Find people who have similar interest and great advice. 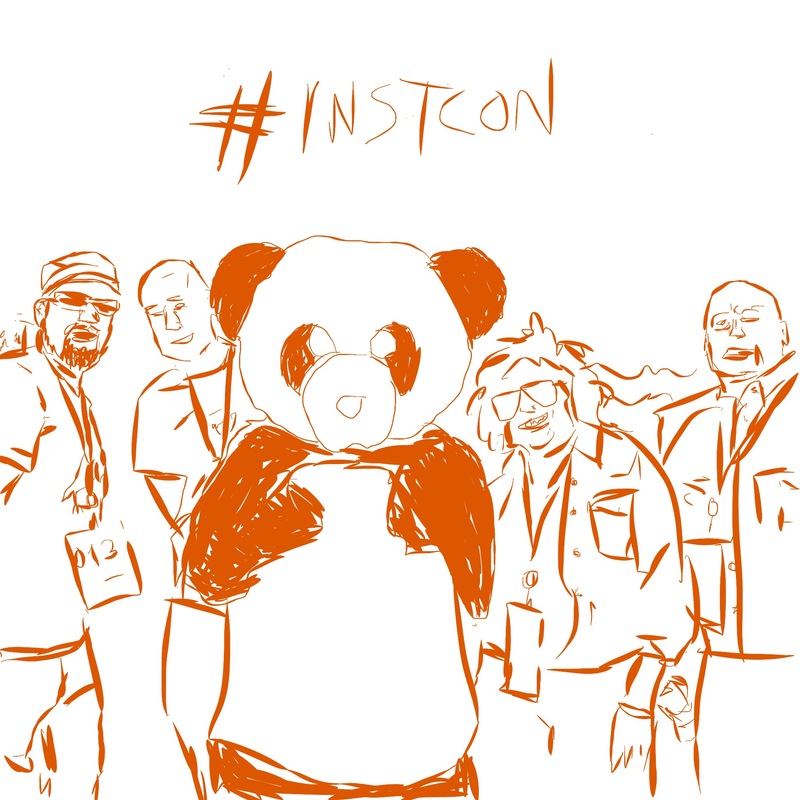 I was able to start following and start a conversation online with many of my fellow bloggers at #Instcon (Canvas Instructure’s Conference) before meeting them in person. It becomes a lot easier to talk with people in person with whom you have already started a conversation with online. Don’t just sit next to your same old buddies. Sit next to a few people who you don’t know and make a few new friends along the way, especially people who are in similar fields or areas of interest. Seek out what people are talking about at the conference and join in on the conversation. Don’t just end the conversation after the conference ends too. Keep the conversation about the topics discussed at the conference going using the hashtags. The hashtag doesn’t have to fad off into the sunset after the event ends. Instead of just using the conference hashtag, maybe after the conference is over it’s time to form a new group on Facebook or community in Google+ to keep the sharing and personal conversation going between a specific group of people with the same interest or mindset. Don’t just tweet away at the conference. Get to meet those who you have been following for awhile or respect in the field. I’m always willing to talk to someone that has been following me for awhile (even thou I’m an introvert) because most likely they like to talk about the same type of topics I enjoy. Try to plan a Tweet Up at the event or other social gathering for those you have meet at the conference or have been tweeting with for weeks now. Seek out the speakers who are presenting, especially at the sessions you will be attending. This will make it easy for you to tweet about them during the presentation and reach out to them with further questions. These speakers are probably a leader or very knowledge in their field as well. I’m sure many will tweet great things and probably share some great advise along your journey. If you have further questions or forget about that site or case study they talked about, you can always reach out to them. 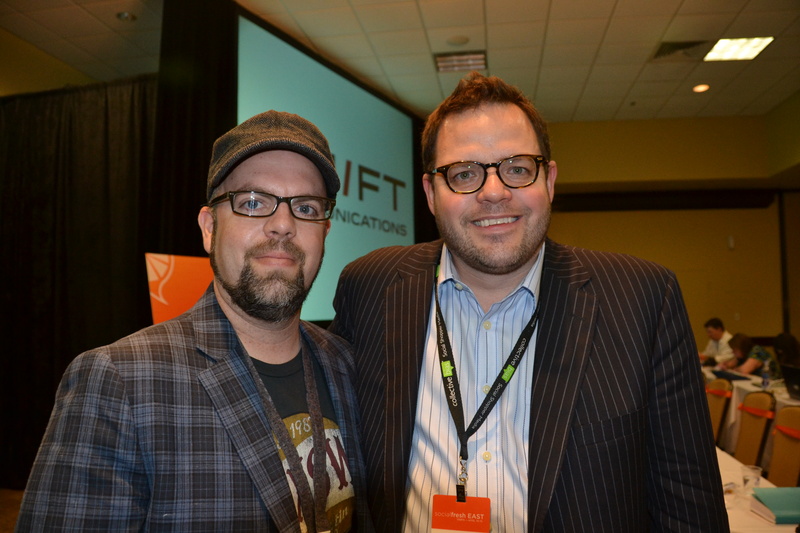 At Social Fresh East , I had a chance to meet Jay Baer (@jaybaer ) again, who always has great advise and words of wisdom to share. I’m glad to had a chance to hear him speak again and continue to follow him. How do you standout in a crowd of social media hungry people, who might have thousands of followers and post 90 tweets a minute? Create unique content that others will enjoy reading and share during the conference, not just after the event is over. Make sure some of the content created involves other attendees, especially content that they would want to share. This might include quality photos, videos, sketches, useful resources, witty comments, and collages of photos. I enjoy doing quick sketches on my iPad of various speakers and events at the conference. I make sure to reach out to those who are included in the sketch for them to share and enjoy for themselves as well. I also upload high quality pictures from my DLSR to my iPad to share on Instagram, Twitter, and Facebook quickly during the event. I make sure to tag anyone who was included in those photos and share them with the hashtag for the event. 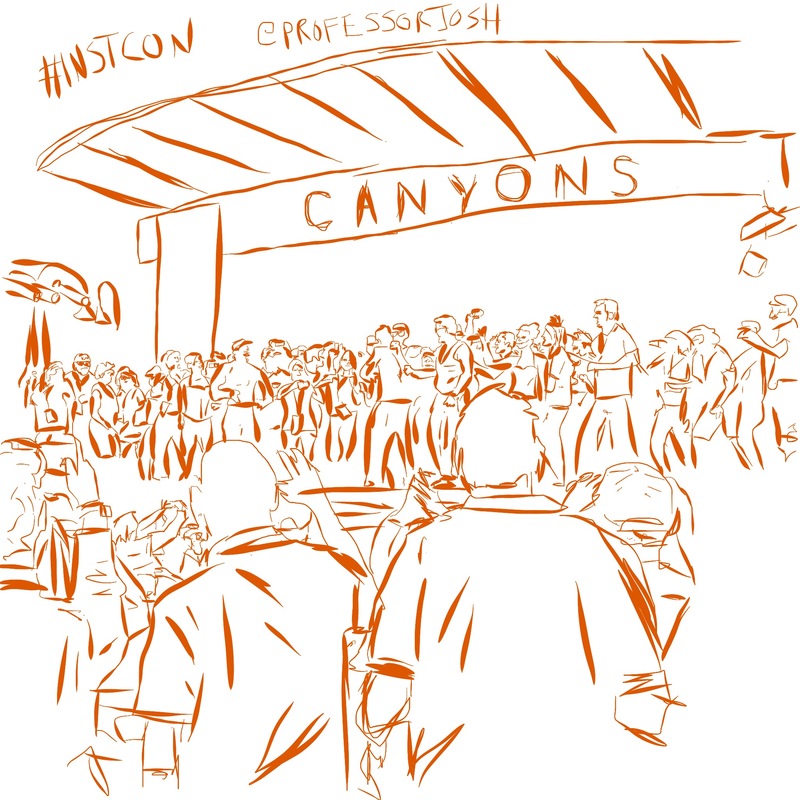 Keep an eye out for more of my sketches at #SXSWedu through Instgram @professorjosh and twitter @professorjosh. How do you network at conferences and events? What are some of your tips that I should add in the future?